Here are 11 ways to make your hair shinier, whatever the weather. Have your hair shine bright like a diamond all year round by incorporating these quick and easy tips into your hair care routine. In such a polluted world, it is not difficult for our hair to lose its condition and shine. In summers, hair is wrecked by sunlight, humidity, saltwater and chlorine, and in winter, the extreme temperatures make it dry, coarse and brittle. In addition, the overload of silicones, plastics, and polymers in most commercial hair products make your hair look temporarily shiny, but often work against hair health by drying it or by building up and creating dullness. With just a few easy lifestyle changes, you can completely transform the look and feel of your hair. Face it, there is no better hair than shiny hair! Not only should you use a sulphate-free shampoo, but also get your hair really wet before you put in shampoo. Not doing so can prevent shampoo from washing out easily—and any residue of shampoo in the hair is not only damaging, but instantly makes hair look dull. Sulfate-free shampoos don’t foam as readily as conventional shampoo, but they also don’t dry out the hair’s natural oil reserve. This way you can keep your hair more soft, shiny and manageable. Condition with a regular wash-out conditioner in the shower and then again once out of it – with a leave-in conditioner. Apply conditioner from mid-length to ends, and if there is any residue on your hand, gently smooth it over the crown (do this only if lack of volume is not a problem for you). Leave-in conditioner is important because it makes your hair easier to comb or brush through. Often we end up pulling at and tugging wet hair thereby breaking hair strands, creating split ends and frizz—three of the main reasons for dull hair. 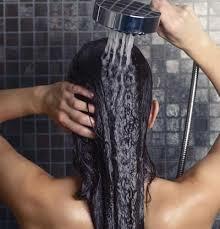 Once your hair has been lathered, scrubbed, and conditioned, rinse out any remaining product with cold water. 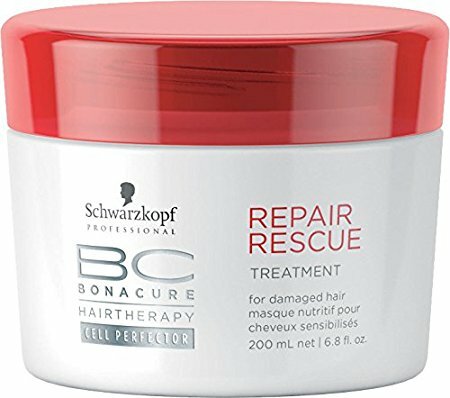 This helps to seal the cuticle, which in turn makes the hair reflect more light (because sealed cuticles also mean no bumps on the hair shaft that translate to frizz). A cold water hair bath is that instant shine boost for making hair glossy without using extra styling product. 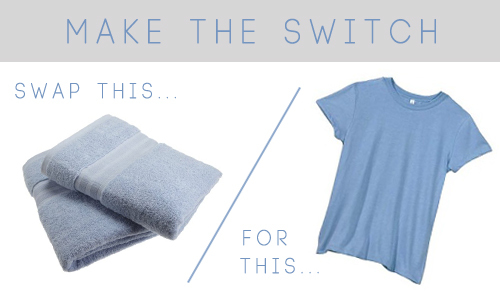 Rather than rubbing back and forth with a towel, dry your hair with a cotton t-shirt (trust us, this works). Simply wrap your hair in a t-shirt and let it absorb the water. Use a second one, if necessary. Not rubbing you hair will prevent frizz and breakage that leave your hair dull and coarse. Touch your hair as little as possible while it’s drying. More touching equals less shine and more frizz. No matter what you’ve heard, nourished hair is shiny hair. Give your hair some TLC by applying a hair serum to your ends. 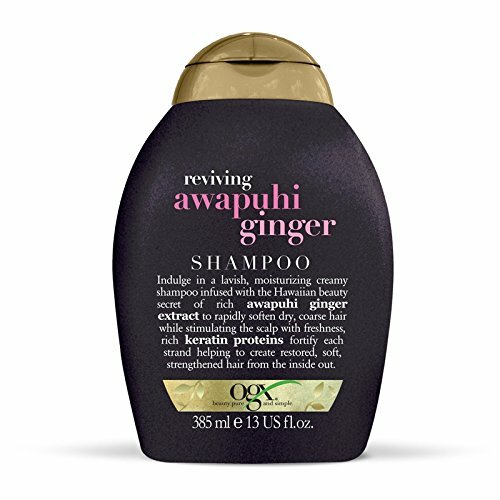 These effective products, that are essentially oils, strengthen and restore your hair from the inside out in order to reduce frizz, replenish moisture and give the hair a layer of shine. Don’t worry about hair growing greasy as this is where serums differ from oils and very little of the product is needed so your hair won;’t feel heavy either! If applied correctly, the serums will leave your hair shimmering all day long. Once a week, do a hair mask. You can either make one at home, or use one that contains moisturizing oils or shea butter. Once every three days, break open vitamin E capsules and rub the gel directly on the hairline. The antioxidant increases circulation, which stimulates growth. Oil treatments also intensely hydrate and smooth down rough surfaces. Slick on a hair oil for 30 minutes-or better yet, leaving it in overnight for deeper conditioning. Just wrap hair in a shower cap (to protect your pillow) before sleeping. Shampoo your hair the next morning. Even a quarter inch off your tips makes all the difference. Trimming off the edges not only removes split ends, but makes the flyaways appear fewer – especially if you have a lot of layers. Not doing so can certainly make hair look dull and lifeless. 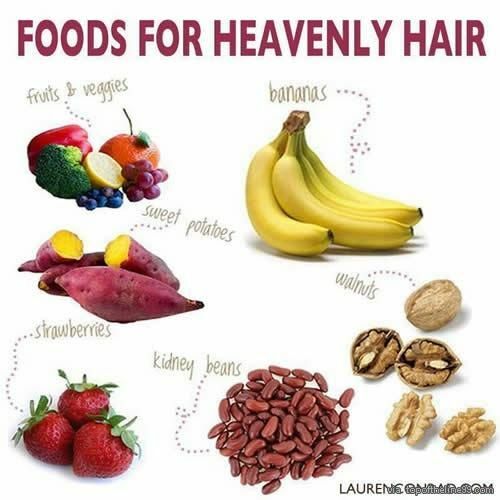 Shiny hair is nourished hair, and hard strands start at the roots. Here’s another reason to load up on spinach, broccoli, and loads of fish and egg protein. 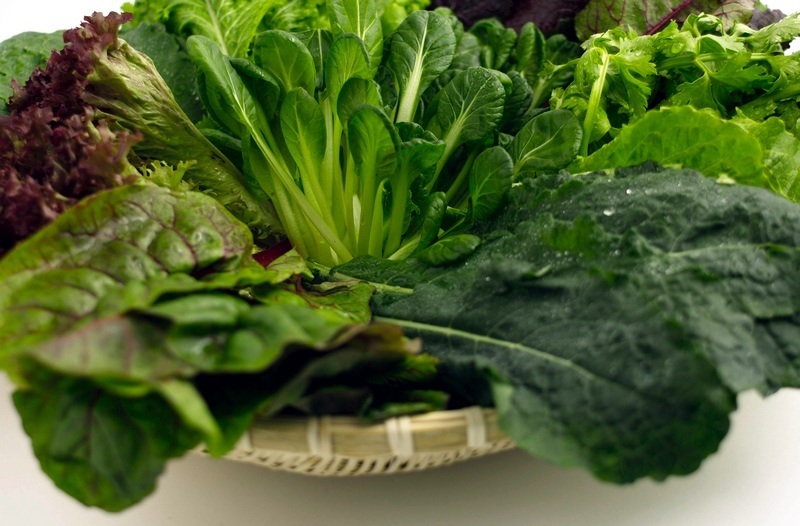 The dark green vegetables are excellent sources of vitamins A and C, which bodies need to help produce lots of sebum (the oily substance from your scalp that acts like a natural conditioner). You should consume at least three cups of green produce per week. L-cysteine, found in egg yolks, optimizes the production of keratin, a protein critical for growth (healthy hair = lustrous hair). Hydrated hair from the inside look luscious and shiny on the outside. Twisting and turning all night long can wreck your hair because all that movement and grazing against the pillow crumples the soft hair follicles – making it textured, and so looking dull. Swap your cotton pillow slips for satin ones to prevent friction that could actually be a reason your hair are not so shiny. 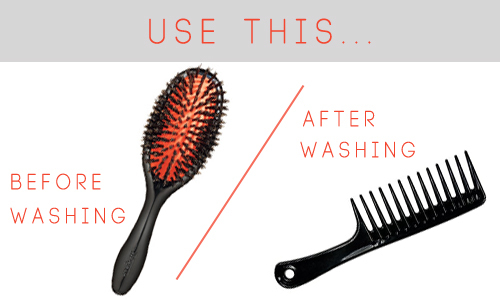 Brushing your strands 100 times in a row to get shiny hair is a myth that does so much harm! Don’t do it. 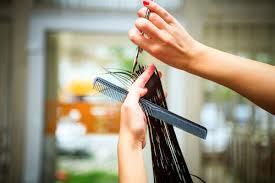 If you are brushing too hard, it can actually harm your hair and cause the most delicate strands to break. Be gentle with your hair – they are as alive as you are. Gently brushing your hair not only loosens tangles and knots, but it also helps to evenly distribute your hair’s natural oils. As these oils move from root to tip, your hair instantly gets brighter and shinier. If a wide-tooth comb isn’t already a staple in your hair care routine, it should be. 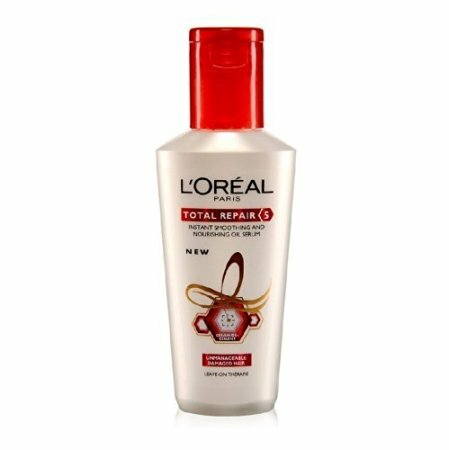 This must-have tool is perfect for combing out tangles and knots while preserving the shine of your hair. Over time, heat styling can damage and fade your hair’s vibrancy. 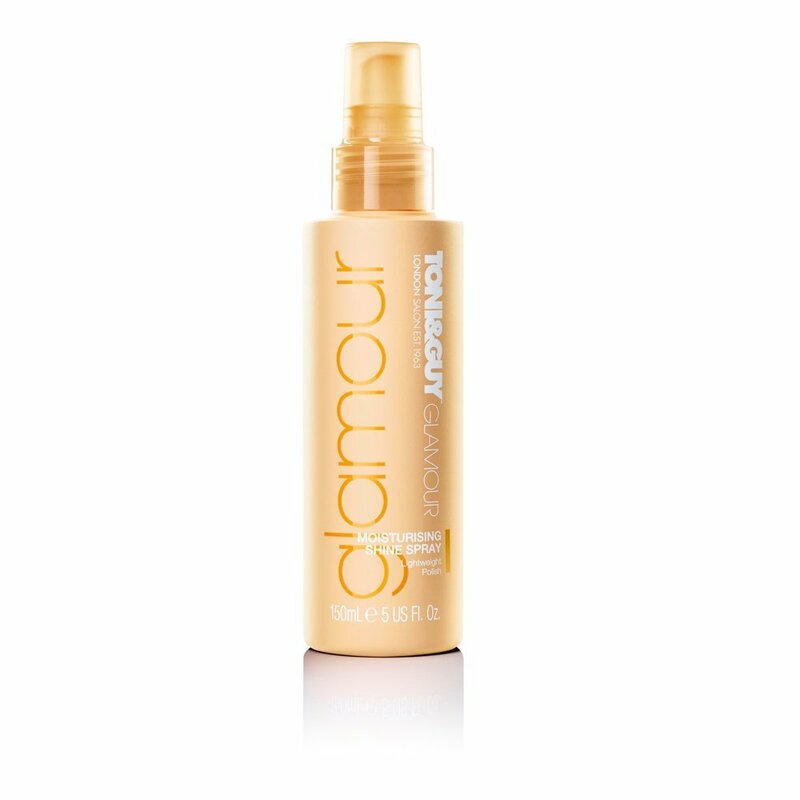 Get your glitz on by using a heat styling primer to prep your strands before using heat.